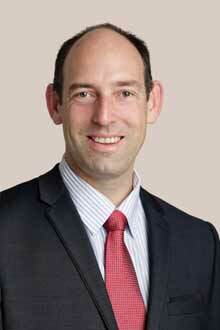 Brendan Taylor is a Perth Employment Lawyer with over 13 years of experience. Brendan believes in a personalised approach to the practice of law and has consistently achieved outstanding results for his clients on a variety of employment law matters. Years of experience gives Brendan the tools to understand the legal and emotional nuances when dealing with the competing interests of the employer, the unions and the employee. Brendan believes in giving his absolute best to protect the interest of his clients. Brendan routinely appears in both state and federal industrial tribunals having successfully litigated disputes involving unfair dismissal, discrimination, bullying and harassment, sexual harassment, denial of contractual benefits, restraint of trade and protection of confidential information. Brendan provides strategic human resources support to his employer clients, including advising on terminations, redundancies, poor performance, misconduct, employment contracts, enterprise agreements, policies and employee handbooks, drug and alcohol testing and the management of ill or injured employees. Brendan received a Master of Laws in Employment Law and Commercial Law from the University of Sydney in 2014 and a double degree in Commerce and Law from Macquarie University Sydney in 2002. Brendan is a member of the Industrial Relations Society of Western Australia and has authored articles in the Journal of Chartered Secretaries Australia. Prior to commencing with Robertson Hayles Lawyers, Brendan practised extensively in top tier legal firms in Perth, Sydney and the Middle East and was engaged as in-house counsel at a major Australian Bank. For all enquiries, please contact Brendan on (08) 9325 1700 or by email.